It seems like every day, there are disputes between homeowners associations and its members, even though these disputes are supposed to be avoided by specific, detailed covenants and restrictions agreements residents agree to when they buy into these associations. There are always going to be circumstances under which homeowners associations and property managers must take emergency action in order to secure the safety of the entire community. However, as highlighted by a recent news article, residents aren’t always happy about these actions, and sometimes resort to suing the association. 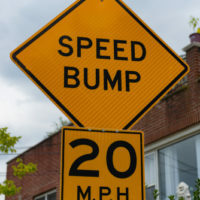 In this particular circumstance, the association found itself in need of taking traffic enforcement into its own hands and proposed sanctioning residents if they were caught speeding because the local police department could not possibly manage the issue on its own, given the breadth of their jurisdiction. Under this proposal, repeat offenders could even have the bar codes that get them into the community suspended, forcing them to wait for a security guard to let them in. A first offense would simply produce a warning, but any other subsequent offense could result in a resident’s barcode being suspended. Issues like these highlight the importance of every homeowners association having comprehensive covenants and restrictions agreements which address potential issues like these that could come up, making it clear to residents that the association has the ability to take this action, and that they, as residents, have been provided notice, and have even agreed to the association’s right to take these steps. Legally, while an association could not take over on powers that are only allotted to local law enforcement (for example, issuing traffic tickets), they can fine residents for violating rules set forth in the association agreement, such as those prohibiting overnight on-street parking. State Attorneys General will occasionally address division of power issues like these, for example, noting that property owners associations are able to assess and collect fines and penalties, but that this involves a private matter between the association and the violator, and not the state or its law enforcement powers. In fact, police departments in some states aren’t legally allowed to issue speeding tickets based on the type of electronic monitoring and photographs that associations will often put up in order to gather this type of data. You never want to find yourself in a situation whereby you are dealing with a lawsuit from a resident because you did not properly address an issue in your covenants and restrictions agreement. 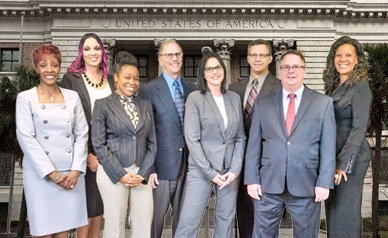 Contact one of our experienced homeowners’ association attorneys at HD Law Partners today to discuss the proactive legal representation we provide to homeowners associations and property managers—we serve clients throughout Wesley Chapel, Orlando, Sarasota, and Tampa, Florida.